WASHINGTON -- Ivanka Trump is officially joining her father's administration as an unpaid employee, after her plans to serve in a more informal capacity were questioned by ethics experts. The first daughter announced Wednesday that she will serve as an unpaid employee in the White House, saying she had "heard the concerns some have with my advising the President in my personal capacity." She added that she has been "working in good faith with the White House Counsel and my personal counsel to address the unprecedented nature of my role." The news about Ivanka Trump was first reported by The New York Times. A White House official said her title will be Assistant to the President. In a statement, the White House said it was "pleased that Ivanka Trump has chosen to take this step in her unprecedented role as First Daughter and in support of the President. " Trump previously announced she was getting a West Wing office and a security clearance, but would not officially join the administration. That decision had drawn criticism from ethics experts. Several attorneys and government watchdog leaders last week wrote a letter to White House counsel Don McGahn asking him to reconsider his approval of Ivanka Trump serving her father without becoming an official government employee. Such a designation carries with it the requirement to follow an array of transparency and ethical provisions, including a law prohibiting conflicts of interest. Trump had said she'd voluntarily follow such provisions. Norman Eisen, who was President Barack Obama's ethics counselor, was among those who signed the letter. He said that "for a change in what has largely been an ethics disaster, the White House came to their senses. Let's hope it doesn't turn out to be an isolated moment of sanity." Fred Wertheimer, president of the government watchdog group Democracy 21 and a co-writer of the letter to McGahn, said he commended Ivanka Trump for formalizing her status. "Democracy 21 praises Ms. Trump for her decision, which recognizes that it would have been wrong for her to function as a White House employee and not be subject to the same rules that apply to other White House employees," he said in a statement. Ivanka Trump's attorney Jamie Gorelick said she will file the financial disclosures required of federal employees and will be bound by official ethics rules. 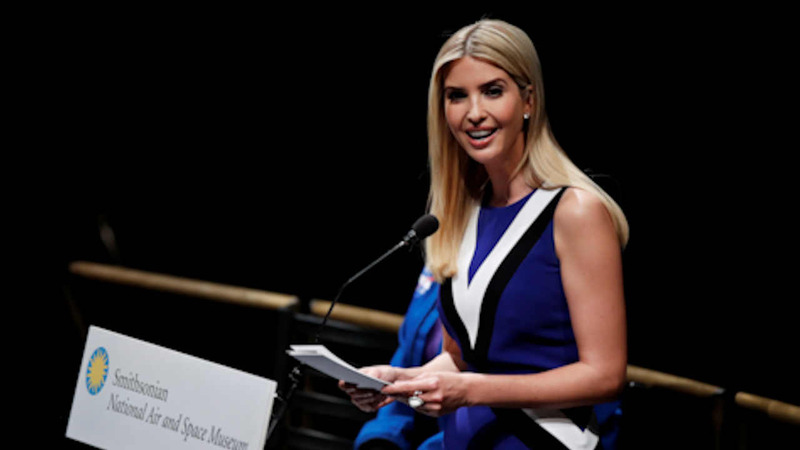 "Ivanka's decision reflects both her commitment to compliance with federal ethics standards and her openness to opposing points of view," Gorelick said. Trump had already sought to distance herself from her business interests. She continues to own her brand. But she has handed daily management to the company president and has set up a trust to provide further oversight. The business cannot make deals with any foreign state, and the trustees will confer with Gorelick over any new agreements. Ivanka Trump will also be able to veto proposed new transactions. With the Trump Organization, Ivanka Trump has stepped down from a leadership role and will receive fixed payments rather than a share of the profits.